Tanya Atwater (right) and R/V Knorr shipmate look over mid-ocean ridge rocks. Where in the Plate Tectonic storyline is Tanya Atwater? Here is an abbreviated timeline placing Tanya Atwater's work in the evolving theory of plate tectonics. 1915 - Alfred Wegener- publishes "The Origins of Continents and Oceans" that introduces the Theory of Continental Drift - Continents were once together and they moved apart. 1962 - Harry Hammond Hess - "History of Ocean Basins" - Provides a glimpse into the mechanism behind Wegener’s ideas - Sea floor spreading - Underwater mountain ranges (rifts) indicate cracks in the ocean floor where magma is pushing through the crust and creating new ocean crust. 1963 - Vine-Matthews-Morely Hypothesis - Magnetic Reversals - We now have evidence of sea floor spreading in the form of magnetic “records” in the rocks. The above three ideas and the many more published works by other scientists about the theory of plate tectonics provided a foundational knowledge base for Tanya Atwater as she arrived on the scene during the late 1960’s. Dr. Tanya Atwater has been publishing her research steadily since 1968 and her work is so highly regarded that her papers are frequently cited. Two big ideas that have come out of Tanya Atwater's research are her work with “propagating rifts” and her famous 1970’s paper outlining the history of the San Andreas Fault that currently runs through California. In 1968, H.W. Menard and Tanya Atwater published a paper called “Changes in Direction of Sea Floor Spreading” which took the work done by Vine and Matthews a step further. Sea floor spreading centers would adjust to plate motion and change direction rather than continue on in a straight path in what was known as “propagating rifts”. As you can see from the figure on the right, (taken from Menard, & Atwater, 1968) their model suggested as the plates shifted and moved, so did the spreading centers. This idea of propagating rifts explains the complicated patterns on the sea floor. The work on propagating rifts continues to be refined. Below is a picture taken from an article written by Atwater (Atwater, 1981) that summarizes some of the work that had taken place since 1968. Figure a is based on the original proposal of sea floor spreading by Vine and Matthews. Figure b and c are more detailed nuances of how the stresses of plate motion can impact the sea floor and create a much more complicated picture than originally thought. 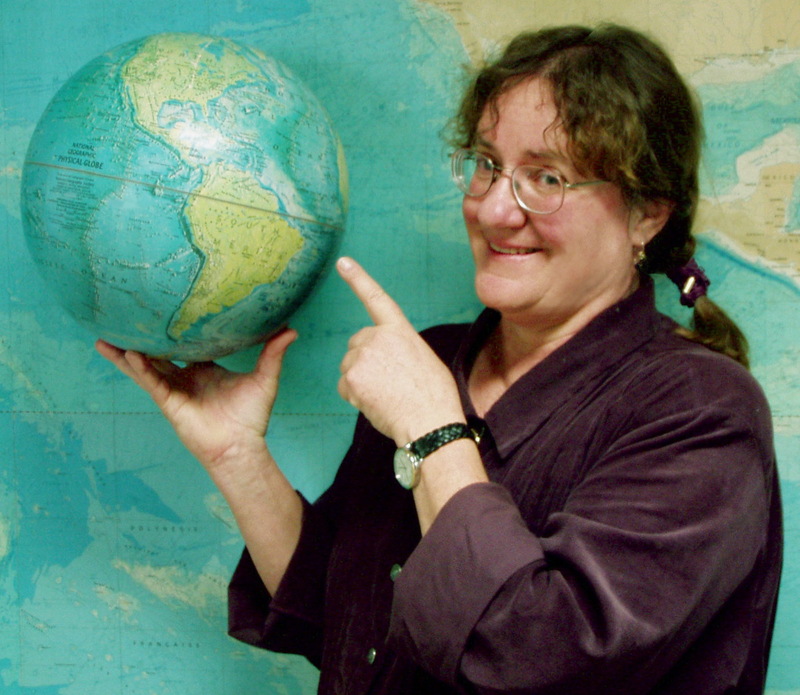 Dr. Tanya Atwater took what had been an emphasis on ocean floor plate tectonics and applied it to the continental features of the western North America. Her work provided the history of the San Andreas fault from pre-existence to the present day. Atwater published her findings in 1970 in a paper known as “Implications of Plate Tectonics for the Cenozoic Tectonic Evolution of Western North America” which essentially became her thesis for her PhD. Dr. Atwater came into geology by accident. She changed her majors several times at MIT and took a geology course her junior year by mistake. She loved it and transferred to UC Berkeley and graduated with a geophysics degree. "Atwater, Tanya Maria." American Men & Women of Science: A Biographical Directory of Today's Leaders in Physical, Biological and Related Sciences. Ed. Andrea Kovacs Henderson. 28th ed. Vol. 1. Detroit: Gale, 2010. 261. Gale Virtual Reference Library. Web. 29 Jan. 2011. Atwater, T. (1981). Propagating rifts in seafloor spreading patterns. Nature, 290, 185 -186. Atwater, T. (2001). When plate tectonics met western North America. In N. Oreskes (Ed. ), Plate tectonics, an insider's history of the modern theory of the earth (pp. 243-263). Westview Press. Hess, H.H. (1962). History of ocean basins. In A.E.J. Engel (Ed. ), Petrologic studies; a volume in honor of A.F. Buddington (pp. 599-620). Boulder, CO: Geological Society of America. Menard, H.W., & Atwater, T. (1968). Changed in direction of sea floor spreading. Nature, 219, 463-467. Vine, F.J., & Matthews, D.H. (1963). Magnetic anomalies over oceanic ridges. Nature, 199, 947-949.